Laurent Koscielny has insisted that Arsenal don’t need to sign a replacement for Hector Bellerin who will miss the next nine months with injury (via The Standard). It was an enormous blow to learn the news that Arsenal will lose Hector Bellerin for upwards of nine months through injury. Most fans feared the worst when the Spaniard went down clutching his knee and scans confirmed that Bellerin has ruptured his anterior cruciate ligament. With the transfer window open, some were suggesting that the Gunners should sign a replacement right-back, something which club captain Laurent Koscielny has disputed. 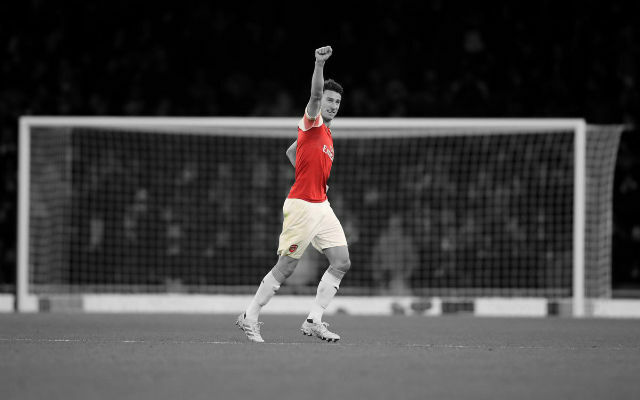 “We have some players who can play right-back,” Koscielny told Sky Sports. “We have one young [Maitland-Niles] and one old but with experience [Lichtsteiner]. “So no, I think we have the players. They played some games this season in the position and they played well. Ainsley Maitland-Niles and Stephan Lichtsteiner should provide adequate cover for the coming months but cruciate knee ligament injuries can provide long-term problems. If that is the case for Hector Bellerin then the Gunners should reevaluate the situation.